There is nothing like the impressive diversity of Sydney’s coastal beauty. 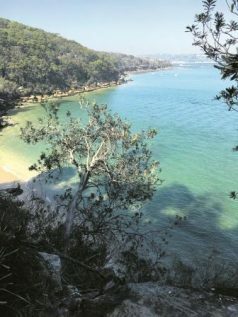 And one of the best way to experience it is by walking the track from Spit Bridge to Manly harbour beach. The scenery is stunning, with the track rising to high lookout points and then dropping to gorgeous little inlets and beaches – ideal for a quick dip and pit stop. At roughly 10km, the easy to medium rating takes into account some rocky bush paths and a few steep climbs. Allow anywhere from 3.5 to 5 hours, depending on your pace and fitness and your penchant for selfies.